Chemistry is a hands-on science. It doesn't matter if it is at the college lab, at home, or in the great outdoors. Chemistry is everywhere, so remember the whole world is your laboratory. Even though most of your lab experience for this class will be at the college lab, don't forget the skills learned there can be applied to everywhere. As you know we are bombarded by advertising of products which claim to be the best. All of this is just talk unless someone does some tests. 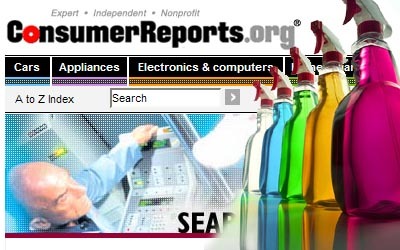 This is why an organization like Consumer Reports is popular. It submits these products to scientific testing and gives us answers rather than just opinions. When you learn laboratory skills, you will also be able to answer questions rather than debating them. In all my chemistry courses, I like to divide a chemistry topic (or lab exercise) into three areas of focus making it easier to understand. The building blocks focus sees chemicals coming from simpler building blocks. Chemistry also involves force and energy. For example, the attraction and repulsion forces of + & - charges guide the assembly of atoms and chemicals. Energy is involved to overcome forces or is created by forces. The third part of chemistry involves mathematics. The Earth represents the Metric system which is based on Earth's measurements and water. 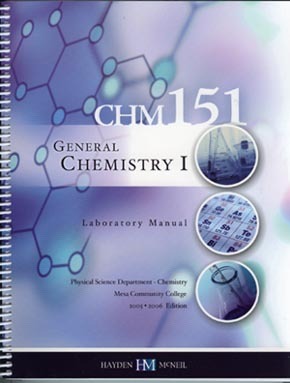 Textbook: CHM151 General Chemistry I, Laboratory Manual by David Nachman. You will also need a calculator. 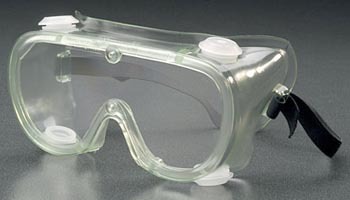 Splash-proof safety goggles are required for every lab. 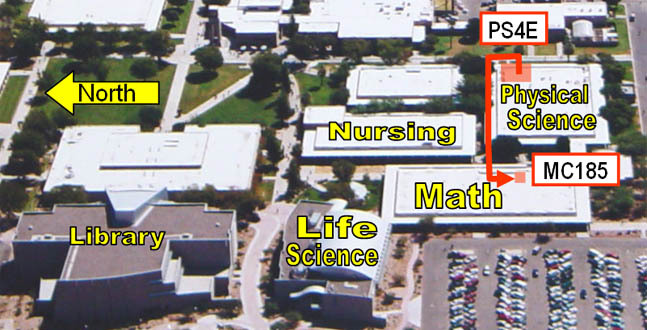 Below is the that map shows you how to get to my office from the classroom. Things you should expect to get out of this course. 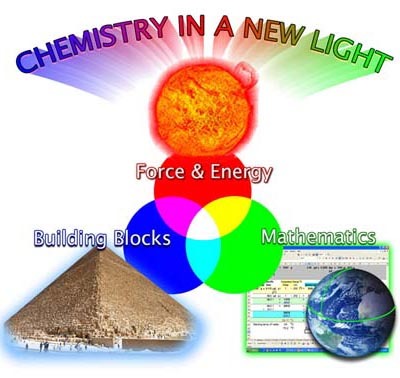 Learn how to approach a chemistry topic as a blend of building blocks, force & energy, and mathematics. 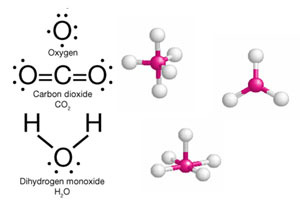 Learn how to write and balance chemical equations. 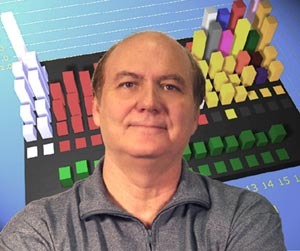 Learn how to take accurate measurements and interpret results. Improve your chances of survival: Gain knowledge of chemical reactions, better avoidance of chemical dangers, better at improvising, better at solving problems, and better at critical thinking. All labs are 25 points. Competency quizzes are 25 pts. Comprehensive final exam is 100 points. You get a second chance to improve the competency quizzes. You can miss one lab, or if you do all labs, the lab with the lowest score can be dropped. SAFETY POINTS: Points are deducted for unsafe laboratory practices (such as not wearing goggles) & points added for noteworthy actions. MISSED LABS: It may be possible to make up a missed lab in another section of CHM151LL either before or after your normal lab. You will need to get a form for this from me and get the other instructor’s approval. MISSED COMPETENCY QUIZZES: You can make up a missed competency quiz. But you may not have the opportunity to take a follow-up quiz to improve your score like the students who didn’t miss the competency quiz. SPECIAL LEARNING NEEDS: If you have any special learning needs, let me know, but first visit our Disabilities Resources & Services Office. They will work with both you and me to find ways to help. Deaf students will appreciate the many visuals I use in class. EXPECTATION THAT EVERYONE FINISHES: Just like I expect everyone to learn the material well enough to get an A, I also expect everyone to finish the class. However, if you miss two classes in a row without contacting me, I will telephone you and send email to find out what’s going on. Note I can be pretty flexible when you have circumstances that warrant it. But if I can’t get a hold of you, I will have to withdraw you from class. If you just want the links that were in the presentation, they are below.